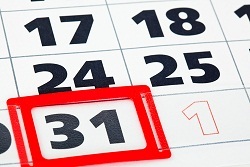 Special posting period in SAP sub divides the year-end closing month No. 12 up to a maximum number of four. Merely dividing the last Posting Period in SAP into several numbers is called Special Posting Period. This enables you to create several supplementary financial statements at the year end. A fiscal year usually has 12 Posting Periods ( in short called PP). In General Ledger Accounting, you can define up to four special posting periods. So in total you can have 16 PPs. If you use these additional special posting periods in SAP then you must specify it while defining the fiscal year variants. You cannot exceed the maximum number i.e. 16 PPs for a company code. The posting date must fall within the last regular PP. You have to enter special posting periods in the document header as it cannot be determined automatically by the system.